HP, one of the biggest PC manufacturers, announced their first ultra-wide curved gaming monitor at the CES 2017. 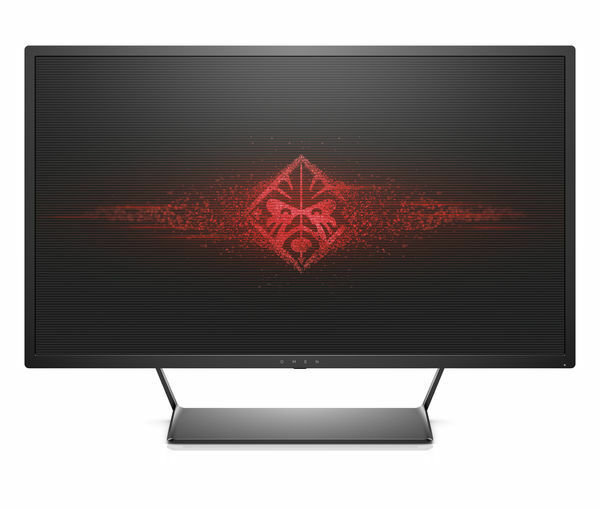 The HP Omen X 35 is also their first monitor to feature the Nvidia G-Sync technology, and the screen size is no other than whopping 35-inches. Besides the excellent image quality and smooth performance, the design seems to be the monitor’s most exceptional asset as its ultra-narrow bezels on such a hugely sized monitor allow for an unprecedented viewing experience as the picture simply pops out. 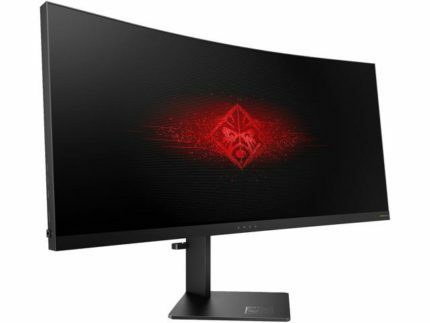 As soon as HP released the HP Omen X 35 monitor, it immediately rivaled the other popular 34-inch curved gaming monitors with similar stats, the Acer Predator x34 and the Asus ROG Swift PG348Q. Besides the small difference in the screen size, all the other key features are the same such as the G-Sync, 100Hz, and the resolution. The only major difference lies in the panel of the monitor as the HP Omen X 35 features a VA panel, whereas the other ones have IPS panels. The panel difference does not necessarily either make this monitor better or worse than the rivaling ones but rather adds the personal preference factor. While both panels offer the same viewing angles of 178 degrees, the VA panel of the HP Omen X 35 display offers a higher contrast ratio of 2,500:1 static and 10,000,000:1 dynamic. This results in more shadow depth and better black levels in video games and overall use. Unlike the IPS ultra-wide displays, the HP Omen X 35 showed next-to-none backlight bleeding. The true 8-bit color depth panel covers 100% of the sRGB color gamut, although if you’re looking for the most color accurate displays, you should opt for the IPS panel monitors instead. Thanks to the Nvidia G-Sync technology, the high-quality picture not only appears beautiful but perform amazingly as well. If you have a compatible Nvidia graphics card, you can connect it to display via the DisplayPort and once you enable G-Sync, the refresh rate between your monitor and the GPU will become synchronized. Therefore, you will have a more steady frame rate and eliminate screen tearing, stuttering, and lagging. Along with the 100Hz rate and quick 4ms response time speed (gray to gray), everything from just moving your cursor across the desktop to playing fast-paced FPS games looks smooth and fluid. The HP Omen X 35 features an 1800R curvature which allows you to fully immerse into all 5 million pixels of the flawless ultra-wide QHD experience. The ultra-wide 21:9 aspect ratio offers up to 34% more screen space than the common 16:9 monitors. However, keep in mind that if your favorite games don’t support the 21:9 aspect ratio, you will have to play with black borders on the side. Moreover, you will have to stretch movies across the screen or have black borders around them as well. The HP Omen X 35 G-Sync monitor has a rather user-friendly OSD menu that’s easily navigated via the three OSD buttons at the right side of the bezel. Some of the interesting features include pre-calibrated picture presets for various different scenarios such as Night, Movie, Photo, Low Blue Light, Custom RGB, as well as game-oriented FPS, RTS, and Racing modes. Additionally, there’s the Dark Boost feature which increases visibility in the dark scenes. You can also increase the response time speed in the OSD on a scale from 1 to 6. Although at maximum speed there’s reverse ghosting present while at medium (3), there are next-to-none artifacts visible. Other options include the ability to enable/disable adaptive contrast, adjust luminance, color temperature, etc. Another interesting feature of the HP Omen X 35 is the ambient lighting. Beneath the bottom bezel, there’s a LED light which you can adjust in the OSD, or turn it off. The design of the HP Omen X 35 features a beauteous dark-colored appearance with surprisingly narrow bezels that make this giant ultra-wide display appear even bigger. The overall dark feel of the monitor design is a welcome change, considering the flashy and gimmicky designs of other more popular monitors, at least to me. The monitor is VESA mount compatible, height adjustable by 130mm, and tiltable by -5, 23 degrees. There is an issue with the stand riser, since the screen weights too much, it cannot be held at the maximum height as it always falls down a few milimeters. The screen of the monitor is covered with a 3H matte anti-glare coating. 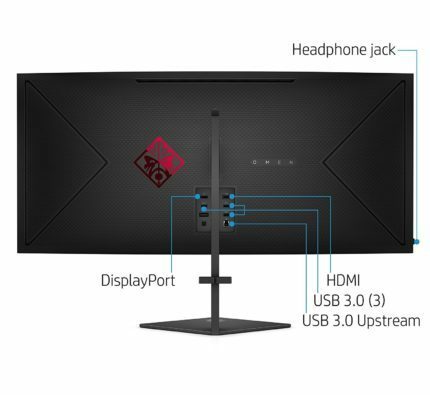 As the picture shows, the HP Omen X 35 has only one DisplayPort 1.2 for the G-Sync feature, and one HDMI 1.4 port. There are also three USB3.0 ports for easy connection of your keyboard, mouse, or controller devices and an upstream USB port which connects to your PC in order for other USB ports to function. All the ports are neatly placed at the center of the screen facing upward expect for the headphones jack which is practically placed at the side. At the moment (May 2017), the HP Omen X 35 price amounts to around $1,240. 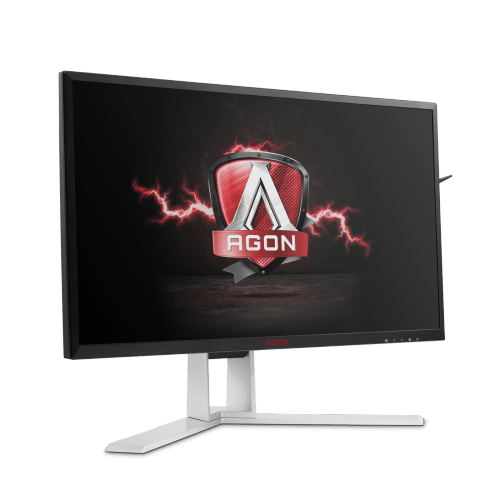 The AOC AGON AG352UCG, on the other hand, is another 35-inch ultra-wide gaming monitor with G-Sync and 100Hz, yet it is available for almost $300 lesser price tag, at $960 – although it has a much less appealing appearance. 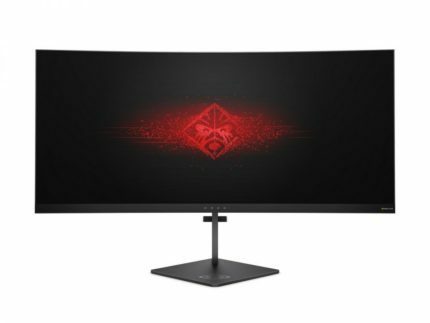 On a related note, Acer will soon be releasing the first 35-inch ultra-wide display to offer 120Hz along with G-Sync, the Acer Predator Z35P, and even its price will be around $1,200 supposedly. So, if you’re on a tighter budget and aren’t willing to pay almost $300 more solely for the design, check out the AOC AG352UCG. Or, at least wait for the Acer Z35P to be released, as HP may reduce the price. It’s also important to note that the HP Omen X 35 has only one year warranty. Overall, the HP Omen X 35 VA panel display delivers a high-contrast image quality with a superb image quality and a quick response time speed. At 100Hz, G-Sync ensures smooth and fluid gameplay experience with low input lag that along the stellar image quality makes gaming otherworldly beautiful. The design of the monitor is one of the finest and a personal favorite, although it’s questionable whether it’s worth paying a premium price for. 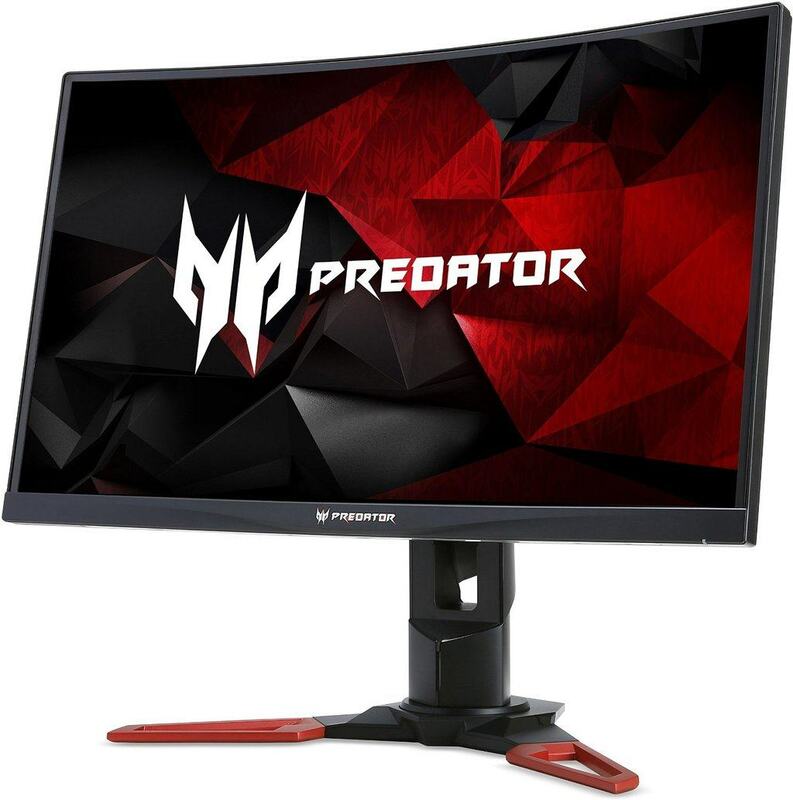 Once the Acer Predator Z35P is released, HP will hopefully reduce the price of the Omen and make its price more reasonable. Not one mention of the color depth of this monitor. Great “review”. I wonder why they haven’t started using DP 1.3 or 1.4 yet. Looks like we’ll have to wait another year for the perfect monitors. DP 1.4 is now the official standard. The most likely reason HP didn’t use it was because the specs of the panel didn’t require the higher bandwidth capability of DP 1.4 or HDMI 2.0. Apparently, it’s still cheaper to use DP 1.2 and HDMI 1.4, which is just sad. This article is badly written. There are more specifications provided by the HP website. The least you could have done was copy and paste them into your article. And the Omen X 35 monitor will be available for sale starting tomorrow (01 Feb). Amazon confirmed that it will not be released on February 1st (yesterday). It was a placeholder date and they have zero stock. Horrible to call this a “review.” In the age of fake-news, this is emblematic of the kind of straight-up lying that leads to idiots voting for other idiots. Way to be part of the problem.